Throughout the years we’ve come to realise how important it is for our customers to be able to see a marquee up in all its glory before their event. 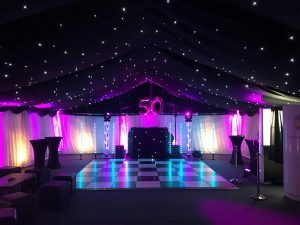 For many they’ve never even set foot inside a marquee so we appreciate how vital it is to get an idea of not only how it will look, but a feel for the size and a possible layout. 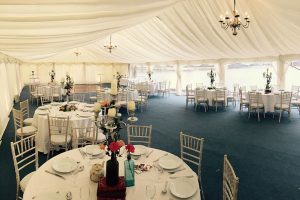 We invite existing and potential clients to come along and view a full marquee set up displaying internal accessories and furniture for both a wedding and a party. We have members of our dedicated team on hand to show you around and answer any queries you may have. As well as this, we can provide details of other suppliers in the industry such as; caterers, DJ services and event toilet hire. 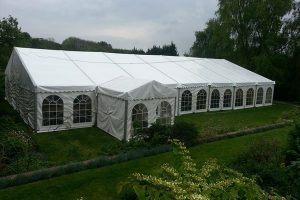 The marquee is erected at a private venue in Walton on Thames, Surrey twice a year. This is typically in January and then again later in the year in October. Please check back for updates on our next upcoming Show Marquee, or alternatively use the web enquiry form below to register your interest. Register now to attend the next Monaco Show Marquee. To be confirmed – watch this space! If you simply can’t wait, then book a site visit now!